About three months ago, I wrote a post on my ideal Adriatic Sea coast road trip, a trip that takes in seven countries. I claimed that that would take about two weeks to complete. However, after a lot more research—I’m going to travel to this region in southern Europe myself later this summer—I have to conclude that it is in no way possible to complete that loop in merely two weeks and spend sufficient time in every destination that I listed. Therefore, I have spent some time reworking the itinerary. I think the following route, a loop drive along the stunning eastern Adriatic Sea coast and through the inland regions of the western Balkans, taking in a large chunk of the region that used to be the country of Yugoslavia, is a more realistic way to explore this region in Southern Europe. The following Balkan road trip itinerary should take about three weeks to complete. It took a lot of puzzling to put together this route, but I think it’s one of the best itineraries I’ve ever come up with. I’m extremely excited to actually go and see all the highlights on this three-week Balkan road trip itinerary! 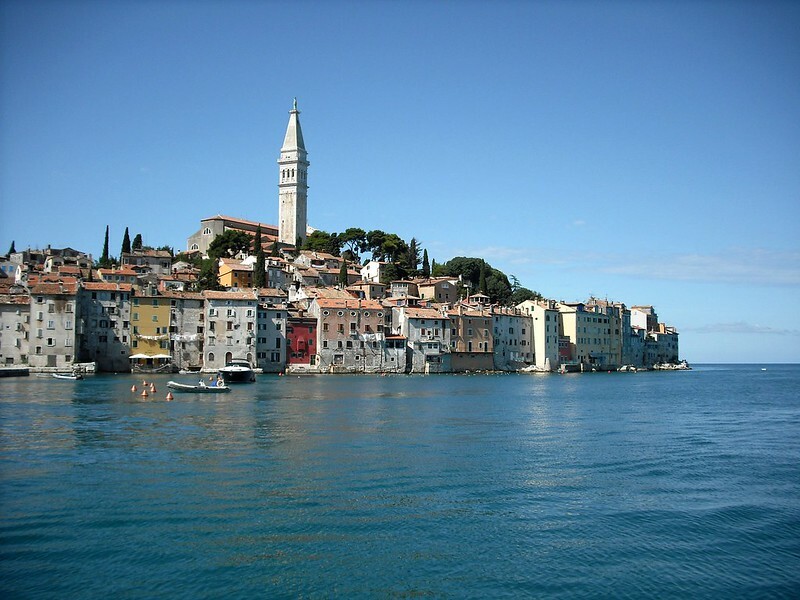 Pick up your rental car at the Venice airport and make your way to the beautiful Slovenian coastal town of Piran. It is home to striking medieval architecture, narrow cobbled streets and seafood restaurants. Spend the night in Piran. Dedicate an hour or two in the morning to wander around the historic town of Piran one last time before jumping in the car and crossing the border into Croatia. Make sure to straddle the gorgeous coastline of Istria on minor roads, rather than drive on the highway. On your way to Rovinj, Istria’s most famous town, stop for lunch in Porec, home to the magnificent Euphrasian Basilica, a UNESCO World Heritage. Continue on toward Rovinj when you’re done exploring Porec, which can get crowded in the summer months. Spend two nights in Rovinj. In the morning, go for a walk around the gorgeous old town of Rovinj, situated on a picturesque oval peninsula. 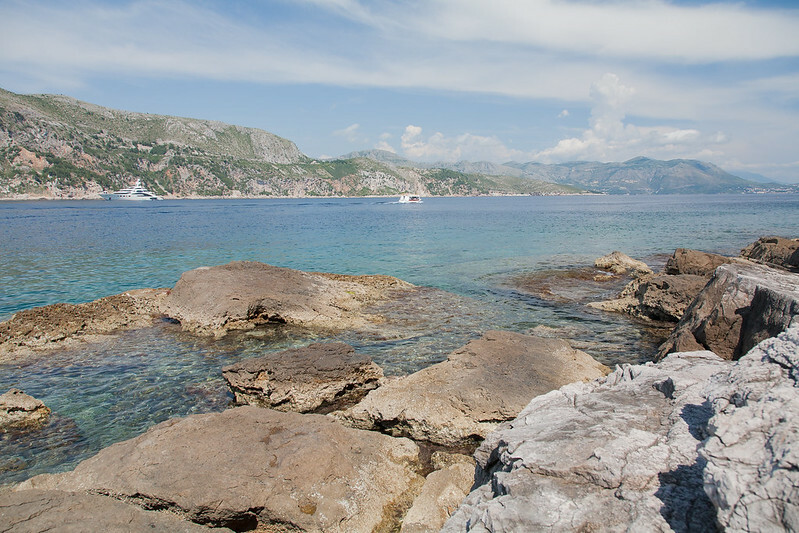 As this is one of the last true fishing ports in the Adriatic, make sure to have a seafood lunch. 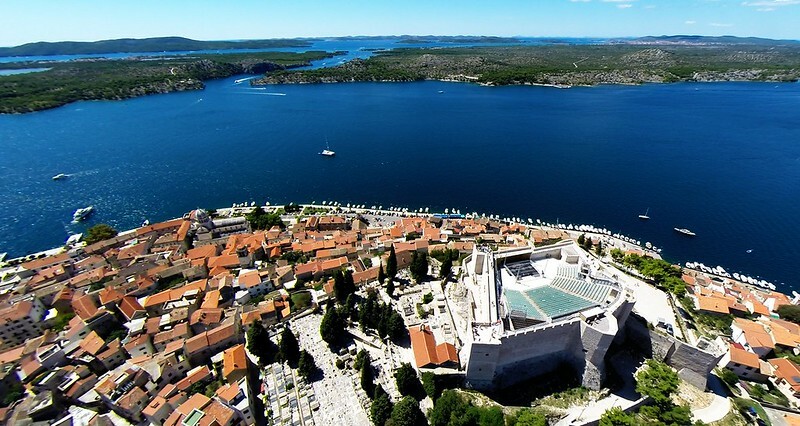 In the afternoon, head south along the pretty coast for a visit to Pula, founded as early as the 10th century BC by the Greeks. 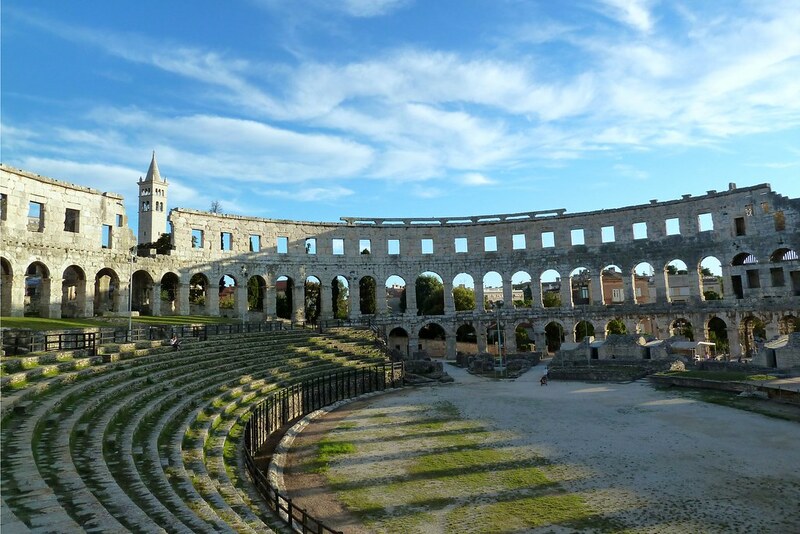 Pula now has one star attraction: an imposing Roman amphitheater that stands in the very heart of the town. Head back to Rovinj after a few hours of wandering around and finish off the day with an evening swim in the Adriatic. Today is a day of driving along the stunning Istrian and Dalmatian coast. Make sure to be on your way before 9am because it’ll be quite a long drive. Fortunately, the scenery is nothing less than breathtaking and there is a fascinating stop on the way. After about five hours, take a break from driving in Sibenik, home to 15th-16th-century Cathedral of St. James, a UNESCO World Heritage Site. After visiting this important historic structure, continue driving for about two hours to Split. Spend the night in Split. 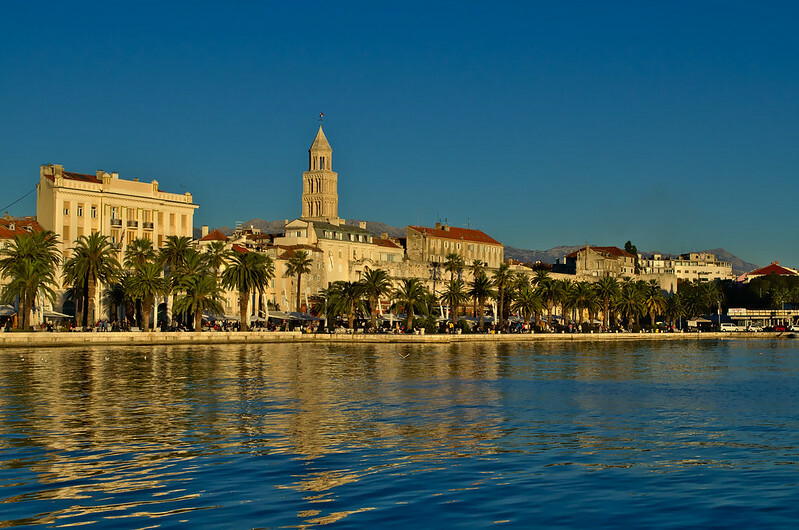 Split, Croatia’s second largest city, is famous for its beautiful beaches and its historic city center. The one major highlight in this fine coastal city is Diocletian’s Palace, another UNESCO World Heritage Site, an ancient Roman complex consisting of no less than 200 buildings. Definitely spend some time strolling around the historic old town as well. And make sure to hit the beach too! Spend the night in Split. Soak up some Adriatic sunshine on the beach in the morning before getting into the car and going for a four-hour drive along one of Europe’s most stunning coastlines. Absolutely make sure to avoid the inland highway (a drive that’s only an hour shorter, but much less scenic) and choose the coastal roads. After a gorgeous afternoon’s drive, arrive in Dubrovnik, the number one highlight in the Adriatic. 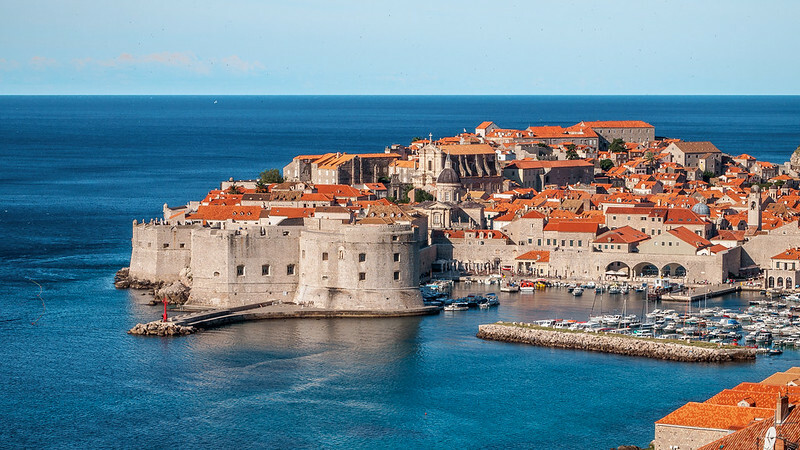 Also known as ‘the Pearl of the Adriatic’, the entire historic center of Dubrovnik is a UNESCO World Heritage Site. Spend the night in Dubrovnik. Take your time waking up the morning—it’s been a busy week already—enjoy breakfast and go for relaxing walks around this phenomenal historic city. Truly steeped in history and home to numerous significant historic sites, Dubrovnik is where you will spend two whole days. The first day is aimed at catching a breath and spending time on the surrounding beaches, enjoying local food and simply taking the time to soak up the atmosphere in this world-class destination. Rounding up week 1, you will have visited two countries, seven towns or cities, and four UNESCO World Heritage Sites. In the next post, you will find out what week 2 of this well-filled, yet relaxing, itinerary looks like.